Nearest fuel: Brunswick about 18km or Collie 22km. GPS Waypoints for this track only available on request, see below for details . 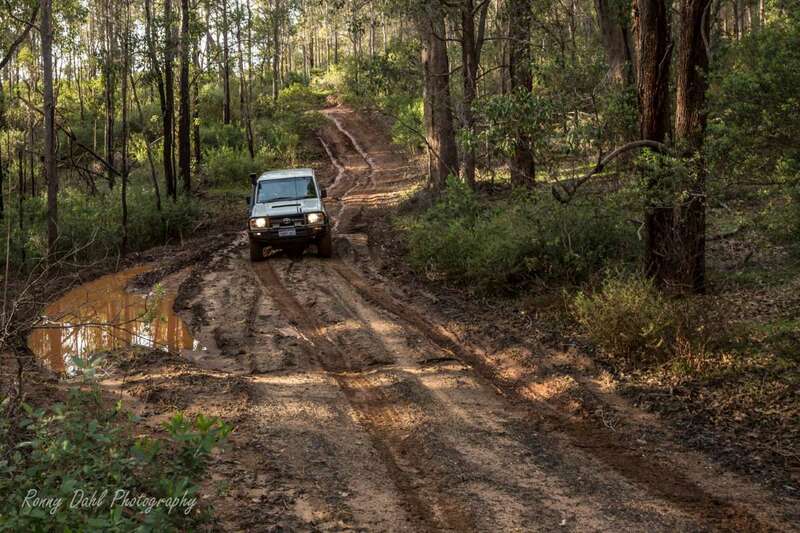 So we explained how we took a while to get here on the last featured track (this being the Brunswick 4x4 Challenge Track) and we had so much fun and missed doing video on a few locations we saw last time as we had too much fun! Well we had to return after speaking to a local bloke who goes by the name of Wayne. Wayne had a track planned out for us and this track turned out to be quite amazing! The Brunswick track is awesome and not for the faint hearted and if you have a stock vehicle this track is not for you. This is BIG tyre country 33inch rubber and a 2 inch lift and winches with all other recovery gear is a minimum requirement in winter! Although the Jeep Wrangler made it through with 32’s with no winching we do not recommend trying this track in winter with anything less than 33’s. 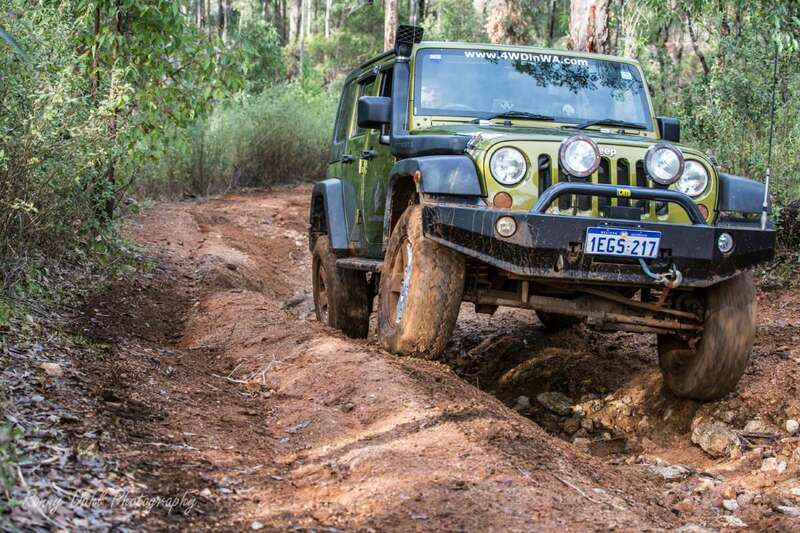 Having at least one vehicle with 35’s will help you overcome the track as you will have something to hook a winch cable to! There are not many chicken tracks along the way. Oh and panel damage is very possible depending on which track you choose when the options present themselves. 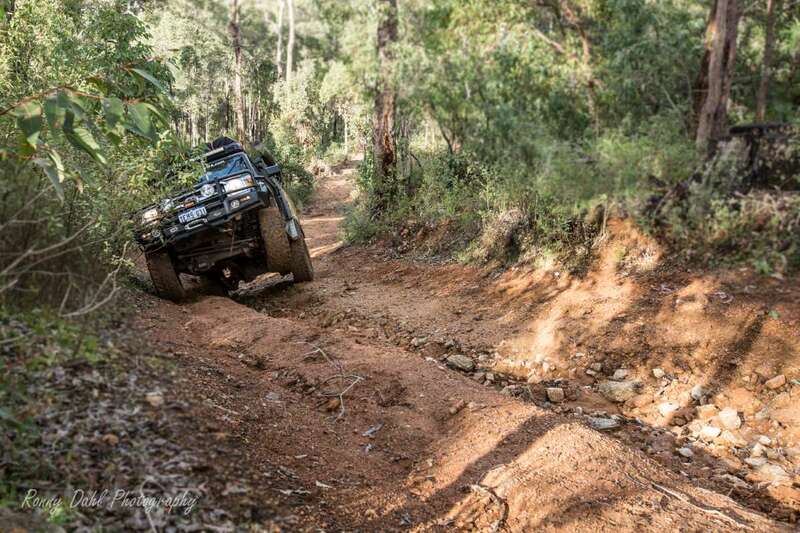 This track has it all, steep muddy hills, multiple river crossings, medium rock crawling to extreme rock crawling, multiple challenging steep tracks with deep ruts and surprises around every corner! Most of this track is focused on the southern part of Brunswick and joins onto the best parts of the previous Brunswick track already featured on our website. 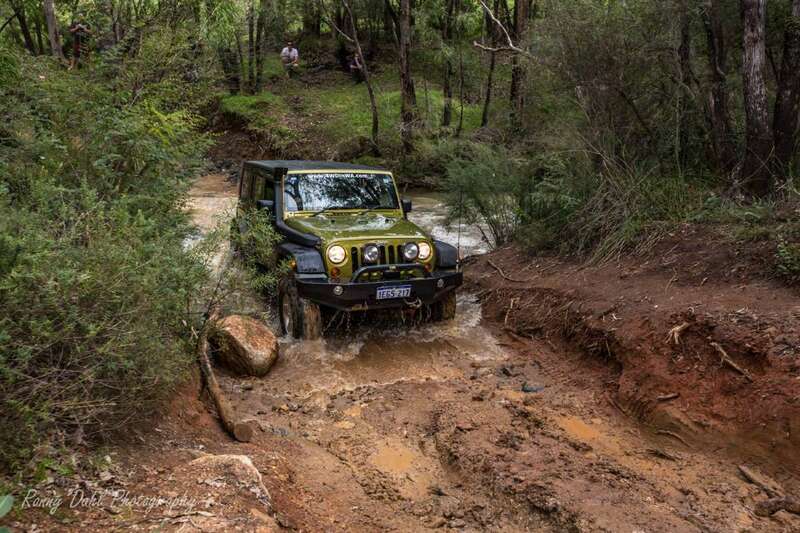 The Jeep Wrangler and 76 Series Land Cruiser dropping into muddy washout. Brunswick BIG Tyre Country track in DETAIL, use with GPS points: If you use the way points below this will make more sense, we even show you how to enter them into Google Earth at the GPS way points segment at the bottom of this page. AS STATED ABOVE VITAL DETAILS OF THIS TRACK IS HIDDEN AND PROVIDED ONLY ON REQUEST IF CONDITIONS ARE MEET. see below where the GPS points normally are placed for details. The day starts from XXXXX rd. just off XXXXX road (BBCP1 Start), turn in heading north and find a spot to pull over and air down within the first 1km (see recommended psi in track conditions). Deflating tyres on Edwards road at sunrise. Once ready continue heading north for 2km from XXXXX road until you hit waypoint (BBCP2) which is the first challenge depending on the track condition. 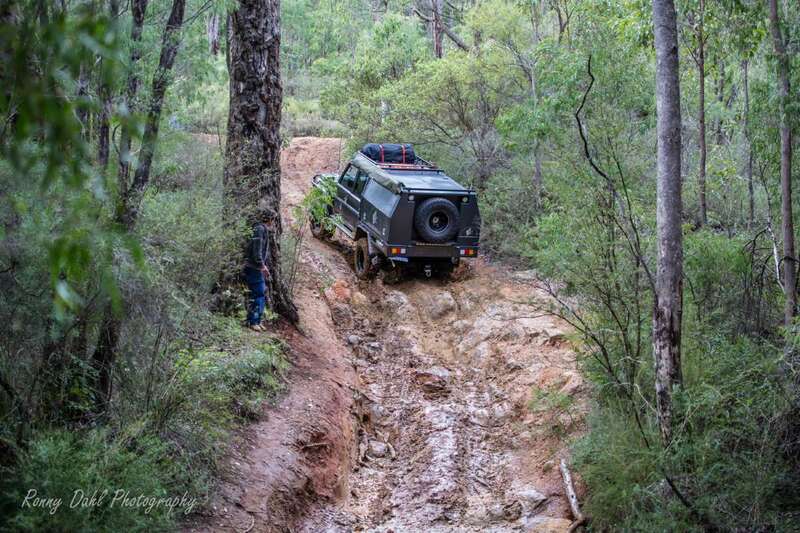 You may find getting one vehicle to the top will be enough to winch the other vehicles up. Once up the hill continue north until you reach a creek crossing at the bottom of a valley (BBCP3). Left track: A gnarly hill with big rock steps & a few boulders on a very steep hill (this one has claimed a few 4x4’s in the past). 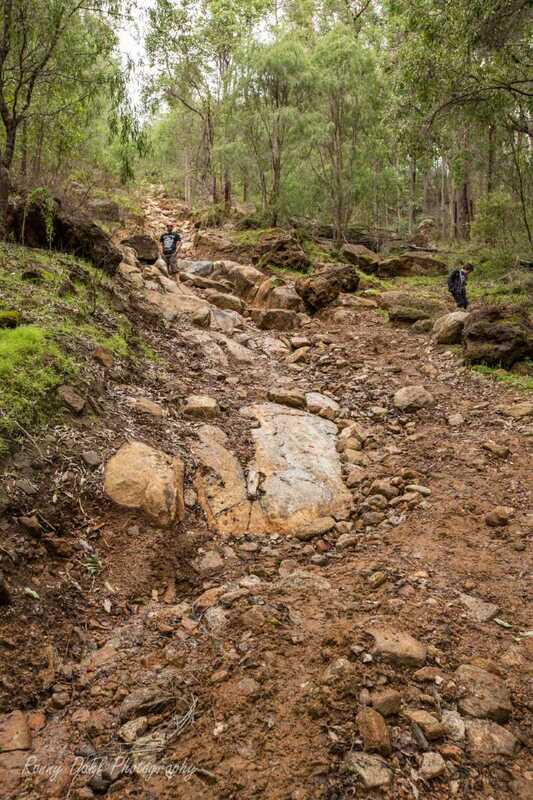 Middle track: A steep hill with plenty of rocks which turns into a near vertical exit at the top. Right track: A much easier and far less challenging hill climb. All options join onto the same track. Once at the top via either track there will be another choice to make. 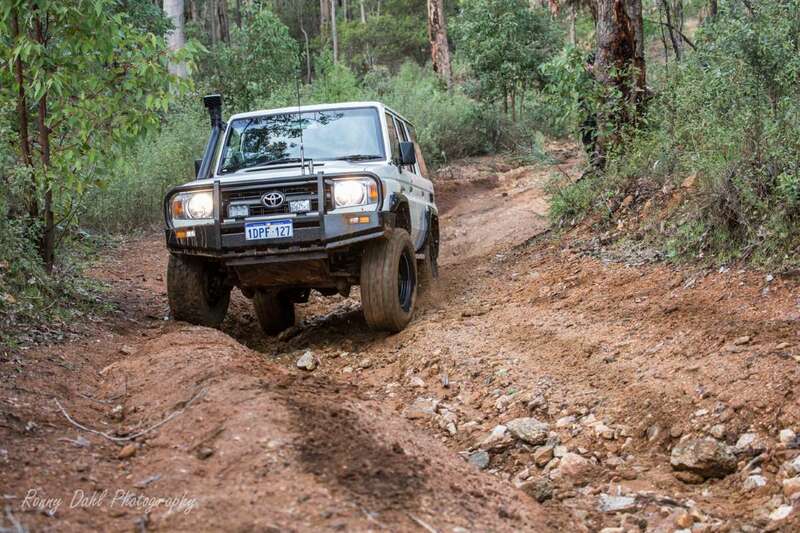 A crazy hill climb (left turn) or a deep rutted less steep yet still challenging hill climb (straight on). Either track requires good wheel placement and spotting. Continuing north for about 400-500 meter, this track will join onto a much wider well used track (BBCP4), heading west for about 770 meters crossing the intersection tracks and stopping before the ROCK step on a steepish descent (BBCP5). Once all vehicles are at the bottom continue west following the track around until way point (BBCP6). From here continue on in a North West heading until the fence line is reached (BBCP7); take a right turn heading east and cross the rail line at (BBCP8). Do we need to say Caution Trains!? Once across the rail line follow the track in an easterly direction, keep to the right hand tracks following the railway for about 1km, until the river crossing is reached (BBCP9). This is the first real river crossing for this track, when we crossed it was near bonnet deep and it has two entries with only on exit. Walk the river before attempting to determine if you want to cross or not. If it’s too deep or you have no snorkel head back along the railway and take the first right turn and check the depth of the alternative crossing. If this is also too deep (unlikely to be deep however check it before crossing) then the only option is to turn around and head out! Once across the river (whichever crossing you have chosen) head for way point (BBCP10). From here (BBCP10) head north for about 800m up the long wide track to (BBCP11), Just 100 meters before way point (BBCP11) you will find an open area great for a lunch stop. Continue on from way point (BBCP11) heading west until the fence line is reached. Once at the fence line follow it around heading north and stick with it until the next river crossing is reached (BBCP12). Along the way to the 2nd river crossing take caution through the deep puddles and wash outs which are prone to changing after rain fall. Once at the river crossing (BBCP12) take care down the muddy descent littered with rocks to a river crossing with a rather tricky steep hill climb on the other side. 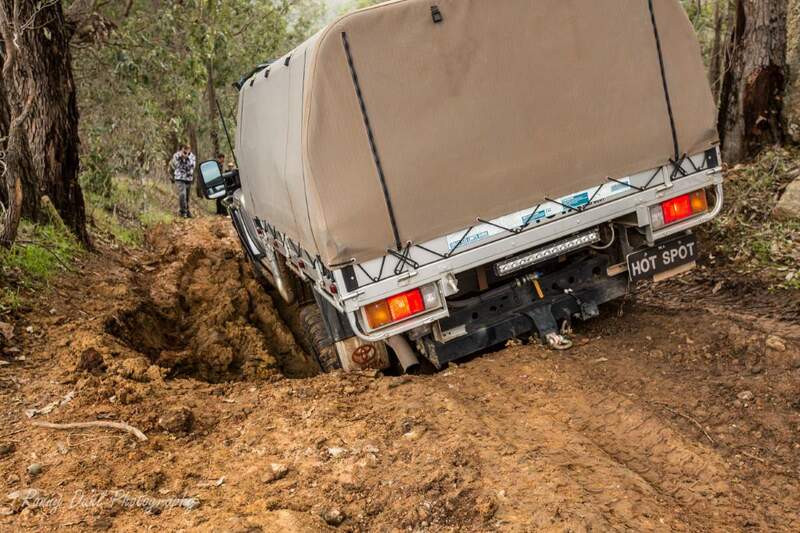 Take care of vehicle damage here as there are some big rocks which the unlucky vehicle could slide back onto due to the lack of traction on this muddy hill. Speeding up is not an option, this short hill climb requires spotting and perhaps even some track building with the loose rocks lying around. During our second visit a bunch of guys had spent 30mins building/fixing the track, I have to say they did an awesome job! Only one vehicle had to be winched up and the rest of us made our way up easily. Thanks to the guys for fixing the hill track!! At the top head northwest for a short 280m and a steep muddy hill will appear (BBCP13 “BIG DADDY MUD HILL”) on your right (north). Head straight up Big Daddy Mud Hill. 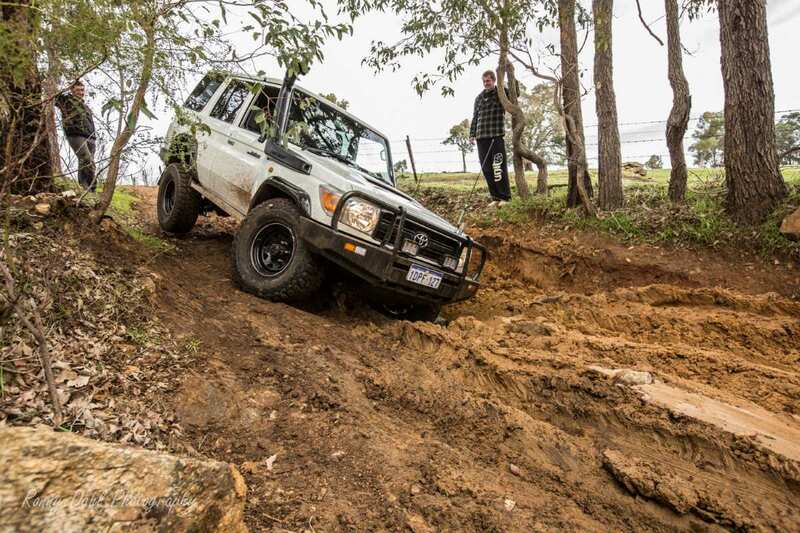 This requires 2nd gear low for the entire 440m of some of the most fun you will have climbing a muddy hill. 79 series cruiser climbing BIG DADDY Hill at Brunswick. Once at the top of Big Daddy Mud Hill (BBCP14) turn right heading east and keep going until a clearing has been reached (BBCP15). Head north straight past the clearing towards the fence line in a northerly direction and head towards (BBCP16). Once at way point (BBCP16) turn left and then turn right at the T junction, follow the track until you get to Bob’s Hill. If you haven’t seen Bob’s Hill before then it’s well worth a look. 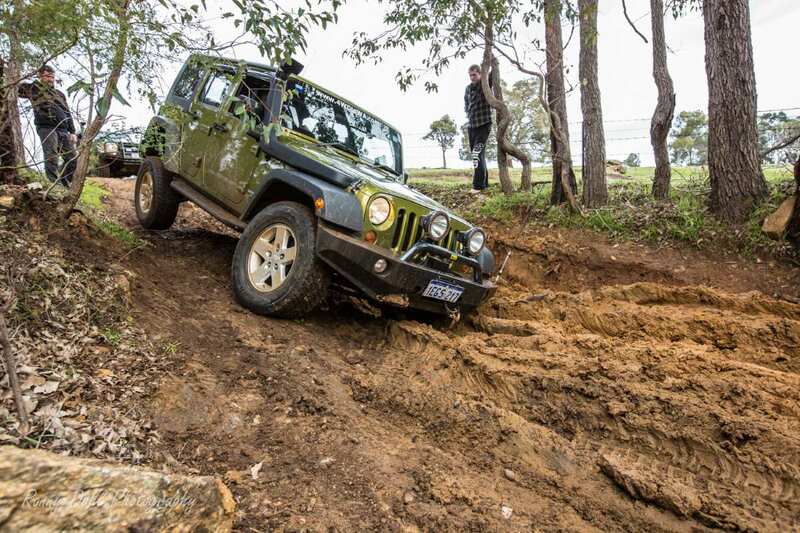 NOW before you even think about climbing it do you have the following; 37 inch+ tyres, 5 inch+ lift kit, good bar work, skills and experience in climbing this kind of terrain and NO FEAR of panel damage! If you have this list covered then go for it! If you don’t then just have a look and admire what others have done and move on. After leaving Bob’s Hill take the first right turn and head towards (BBCP18), then take a left turn and head for (BBCP19) which is the 2nd last waypoint. 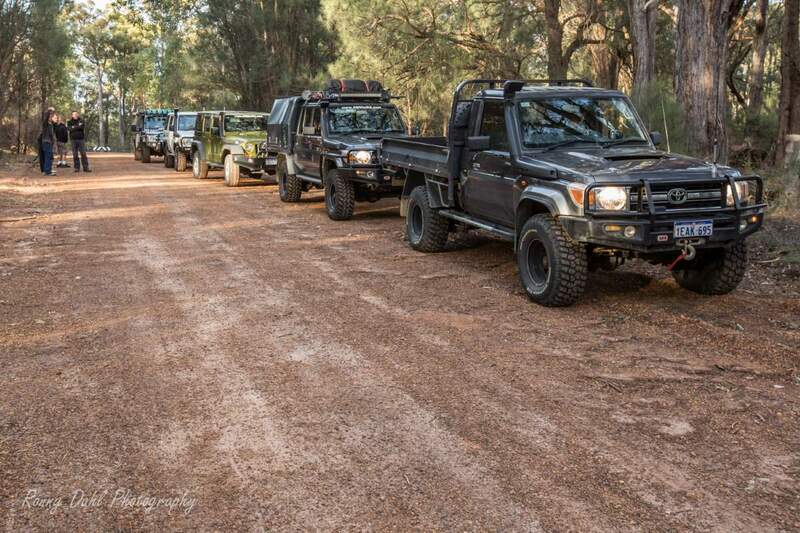 As stated above this is BIG tyre country, have at least one vehicle with 35’s to accompany the other vehicle which must have 33’s and 2 inch as a minimum in winter. Anything less will result in a very long day with people waiting for you to move out of the way! In winter we would strongly recommend approaching with caution! 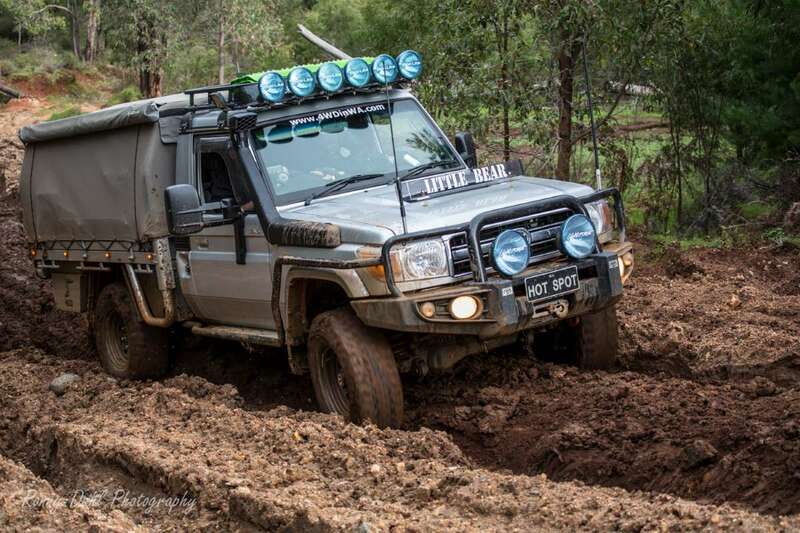 Only go if accompanied by experienced 4wder’s and recovery gear is an absolute must this includes a winch! 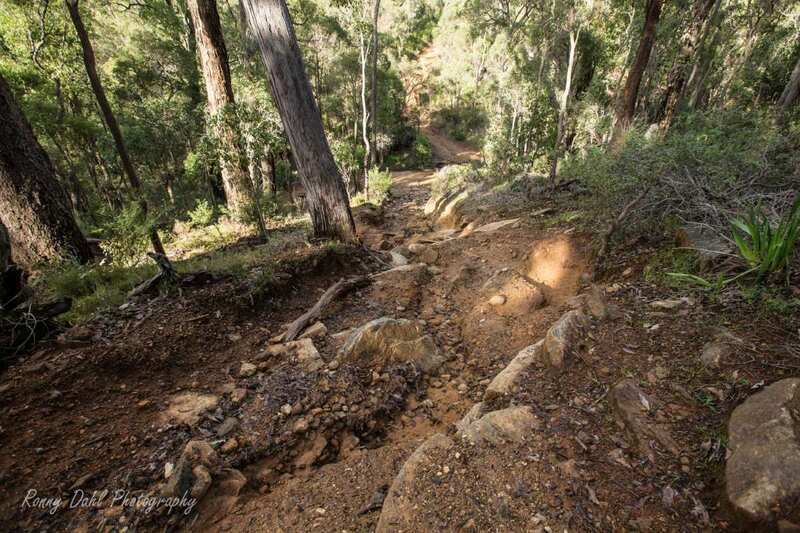 The tracks are rutted, slippery, and very steep, littered with rocks. Many are semi hidden and wheel placement along with approach and departure angles are important. Recommended tyre psi is 16-25, low range gearing is a must in summer or winter. High clearance 2 inch lift kit or more recommended for all vehicles. Do not bring a stock vehicle to this featured track in winter! 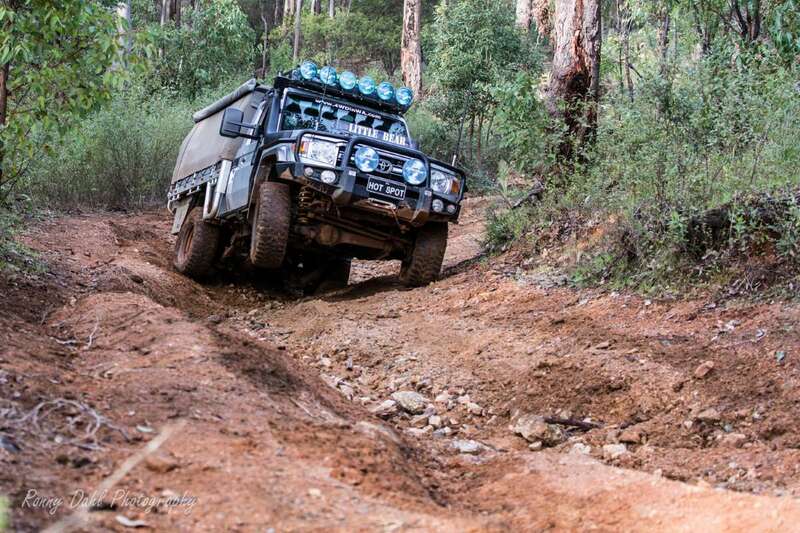 If this is your first time off-road do not follow this featured track without guidance by people who know what they are doing! NOTE* Different terrains change all the time due to weather and track usage. Always check sand dunes and other tricky areas such as ruts, rocks, off camber tracks or any other unseen or uncertain part of a location/track. For this specific track we have a system in place to filter out vehicles we consider not recommended or capable of the track. Lead vehicle in brief .i.e. make model, tyre size and lift size. Your word that none of the vehicles has less than the recommended capabilities to the track’s conditions. Finally your word that you will leave nothing behind but foot prints. Remember if leading a group YOU are responsible for all who are in your group! Any question feel free to add them in the email. 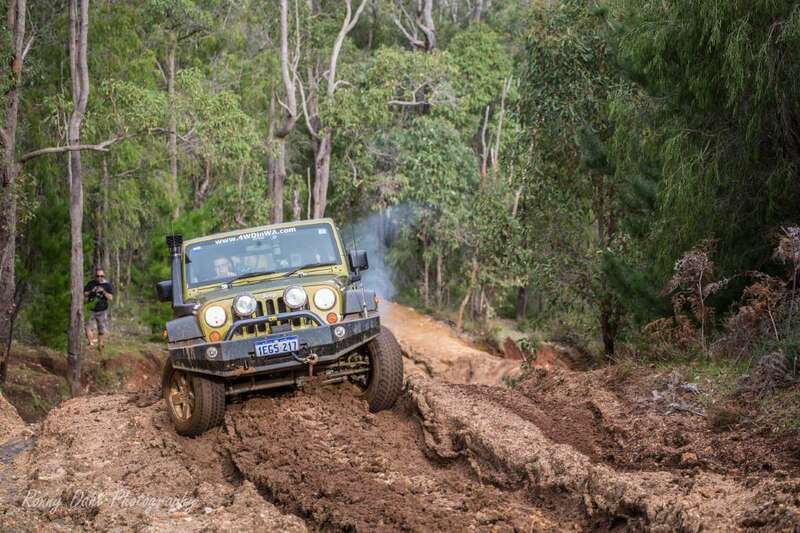 Leave Brunswick And Go 4 Wheeling In Western Australia.